Hancom Robotics is a subsidiary of Hangul and Computer Group. In November of last year, Hancom MDS became a part of the Hancom Group with their acquisition of a 58.07% stake in CoreBell, a logistics robot company. In June 2018, the company changed their name to better reflect their new ventures. In line with the multifaceted paradigm of the 4th Industrial Revolution, the Hangul and Computer Group have been pursuing growth strategies that extend beyond the traditional boundaries of industry and corporations, as shown through their aggressive M&A, and multi-fronted industry-academia collaborations and partnerships. To fulfill this strategy, Hancom Robotics is working closely with Hancom MDS in the robotics sector. With their acquisition of CoreBell, Hancom MDS now has access to key technologies that allow the company to supply services and finished industrial robots. As such, the two companies are seeking to maximize their synergistic effect in order to establish an intelligent robot business based on the joint forces of SW and HW. Hancom Robotics is an intelligent robot company that was established in 2002. They have provided specialized services for control technology in autonomous driving robots and have developed their own in-house industrial robots that are in use in a number of industries. The company has been beefing up their technological prowess with the development of their ‘AI transport robot’, which loads and transports goods to a designated area; a customized ‘Intelligent Guide Robot’, which can provide information and explanation services; and ‘Air Purifier Robot’, which can seek out indoor areas with poor air quality. So far, the company has been supplying exhibition commentator guide robots to South Korean museums and science centers. 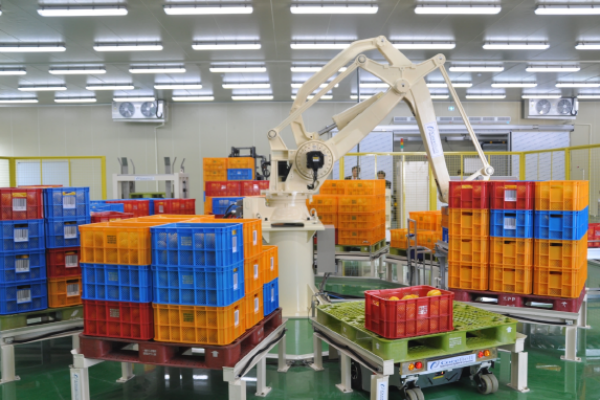 The company has also provided autonomous transfer robots to Nonghyup, Coway, and SKC. 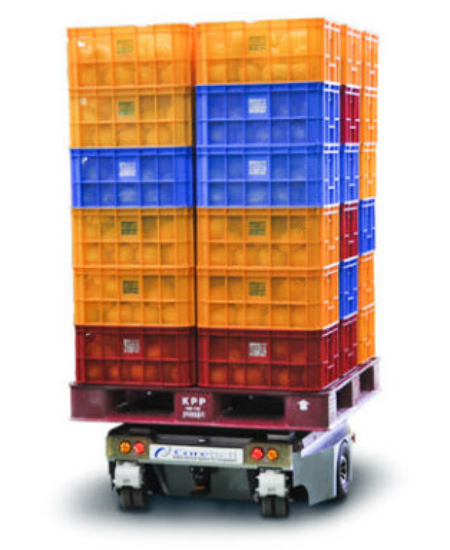 Hancom Robotics is a supplier of low-rise unmanned carriers PSV600, PSV1000; fork-lift type driverless carrier, 'PSV1300FL'; and driverless carriers (AGV) PSV600 (maximum load capacity 600kg), PSV1000 (maximum load capacity 1000kg), PSV1300FL (maximum load capacity 1300kg). These robots feature autonomous driving technology to transfer goods and can automate the processes involved in moving materials and finished products, as well as inspection. Because the products can be quickly installed and require no additional floor markers, the transfer route can be changed at will. 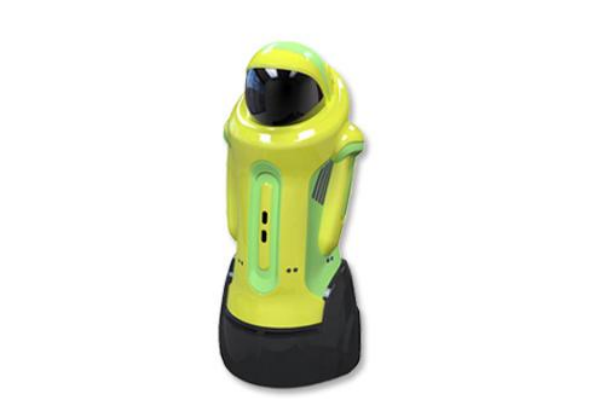 Hancom Robotics developed the Docent Robot, a guide robot for use in museums and art galleries or other exhibition areas to provide visitors with interesting information and commentary of the exhibition. Based on location recognition technology, it is able to identify the exact location of the exhibits, and drive itself to the location to provide guide services. Wireless headsets support 4 languages that can run simultaneously. Fully charged, the robot can run for 8 to 10 hours; its maximum speed is 1.2km/hr. The company is also pioneering the field of the intelligent curating robots that provide cultural information, which Hancom MDS acquired last June. The project is part of the ‘ICT-based public service promotion project’ of the Korean Ministry of Science and ICT. The goal is to increase satisfaction levels of museum-goers at home and abroad by distributing guide robots that are equipped with key AI technologies such as IoT, Cloud, chatbots, and robotics. Based on their in-house SW platform technologies and experience in exhibition guide robot projects, Hancom is doubling their efforts to produce Korea’s first convergence service model that combines curating (culture), artificial intelligence (SW) and robots (HW).